Today I welcome Samantha Kuhr, founder of My Travelling Circus (yes, the British spelling, as she says! ), mama extraordinaire, and all-around smart and inspirational woman. 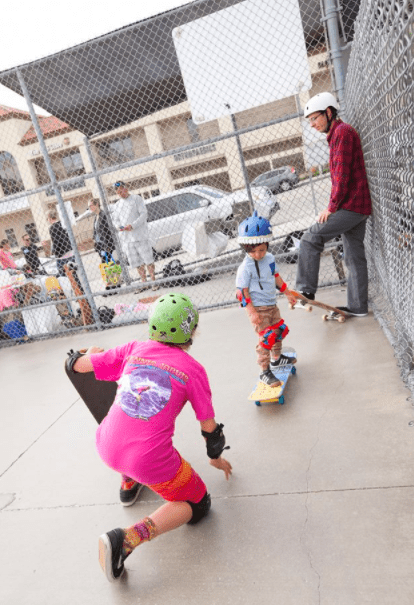 In this post, republished with permission, Samantha shares how her sons have been giving back to their local school district for more than a decade through an event they call Sk8 for the Schools, and why its important to instill a spirit of volunteerism from a young age. I first met the Kuhr family around five or so years ago, as a reporter assigned to write about Seabass’ efforts. I felt an instant kindred spirit connection to the entire family. They’re all so kind and generous, and have made my daughters feel welcome too. Here’s a pic of my kids two years ago at the 2016 Sk8 for the Schools, happy in roller skates and safety gear, in the midst of a skate park full of boys on skateboards! 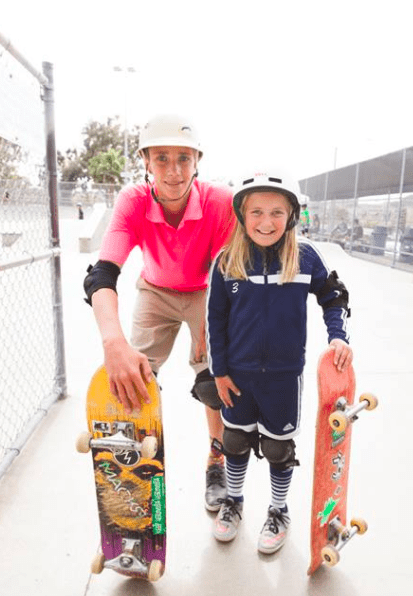 I’m so happy to introduce you to Samantha, this year’s Sk8 for the Schools, her thoughts on why kids should volunteer, and My Travelling Circus. I’ve flipped the story around to pull Samantha’s five reasons she has her kids volunteer, and edited the images down a bit, so head on over to the original post for all the awesome photos, and to spend some time looking around her website! Also, if you know of kids doing awesome volunteer work or philanthropy, I’d love to hear about it! If you want to see more of what’s going on in Samantha’s fun and busy world, find her on Instagram here! It feels good—for starters. The satisfaction and pride that comes from hosting this event year after year cannot be taught in a classroom, and we hope to foster a civic responsibility in our boys for years to come. It shows that each person can really make a difference. Every little bit helps. I encourage everyone to do something for others this year. You don’t have to host an annual fundraiser to give back, but you could help out at a hospital, pick up litter at a park, make treats for a local senior home or donate some old toys to a shelter to name a few. Volunteers learn all sorts of skills. They learn leadership skills, organisational skills and people-skills to name a few. Volunteering increases self-confidence. When you are helping others and the community, it provides a natural sense of accomplishment and pride. On April 25, 2018 we will be holding our 12th annual Sk8 for the Schools. My son Sebastian, “Seabass,” started the fundraiser as a way to give back to the schools and raise money for the Hermosa Beach Education Foundation. He overheard Hot Hubby and I discussing the funding crisis at his small public school as a kindergartener. He decided to do fancy tricks on his skateboard and ask for donations to help raise money for the schools instead of the annual Fun-Run that was planned. It was a great success and each year we host this fundraiser, building awareness for the cause, and raising money for our local public schools. Last year our 11th annual Sk8 for the Schools raised more than $8,000, and has raised over $45,000 to date. Seabass is now in high school, and college and adulthood are on his horizon. He’s graduated from the Hermosa Beach City School District and attends high school at Loyola High School. He passed the fundraising torch to his younger brother, Julian, who attends Hermosa Valley School. 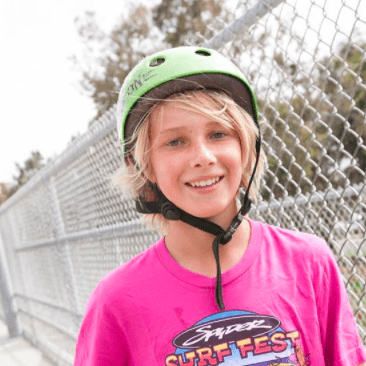 Julian has grown up watching our family participate in community service, watching his brother SK8 for the Schools, and has helped with the event over the years. Julian is an activist in his own right, is spearheading the fundraiser this year, and is thrilled to keep the family tradition alive. If the truth be told, he’s hoping to raise more money than his brother. In 2015, the event took an extra special meaning, when I was diagnosed with stage 2 breast cancer during a routine mammogram. Ironically the date of our event was scheduled for the exact same day I needed to have a double mastectomy. 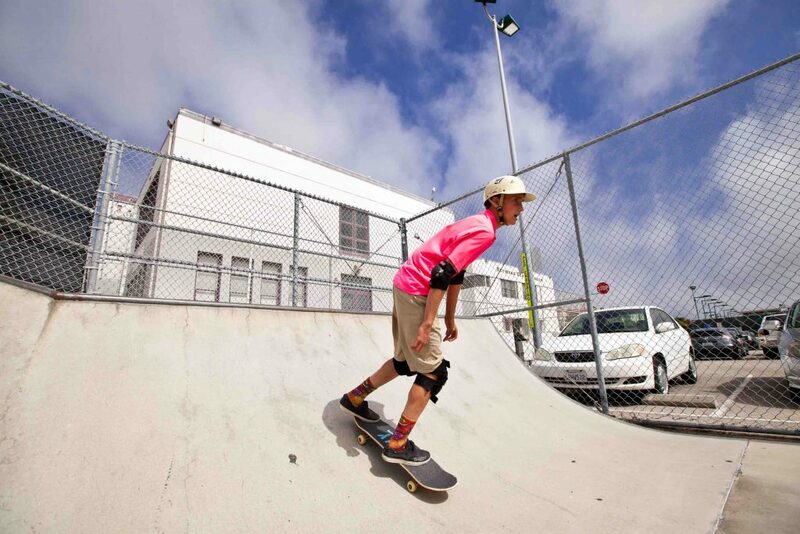 We quickly held the SK8 for the Schools five days before my surgery, and the event took on a pink hue, to bring awareness to breast cancer. We wanted to encourage all women to conduct self-checks and schedule their regular mammograms. 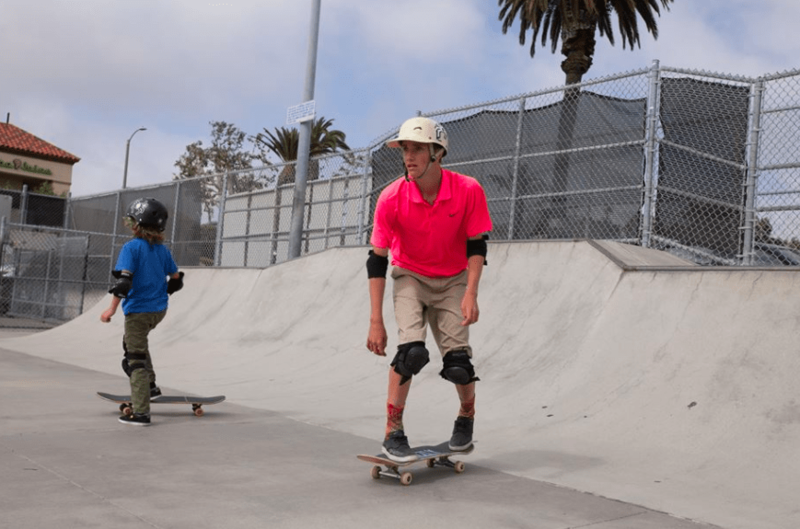 The boys skated in pink, we served pink lemonade, and the whole community showed up in pink to support our family, and this annual community event. This year on April 25th, the boys will again skate in pink to celebrate my three-year anniversary of being CANCER FREE, and again to remind people to schedule their regular check ups. The event is open to all kids who want to skate. 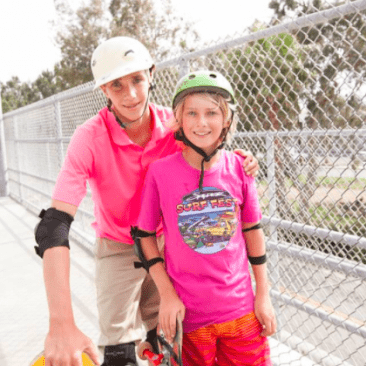 They will help train little ones and perform skate tricks with the bigger, more advanced kids. It’s all about getting together as a community, to celebrate the youth in Hermosa Beach, and support the local schools. We have raised over $45,000 for our local schools, and we have no plans to stop this annual event. 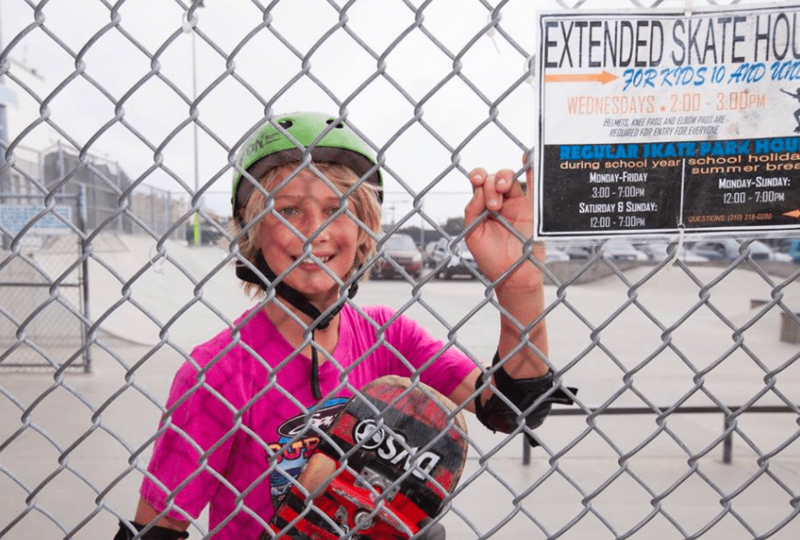 If you’re available April 25 in or around Hermosa Beach, California, head on over to the skate park and have some fun! What types of volunteering or community service do you do with your kids? All photos in the guest post were taken by Carol Reach Photography. For many more awesome photos, visit the original post here! This month, I am writing 26 posts starting with the letters A through Z, along with hundreds of other businesses and bloggers from around the world. I first ran into the A to Z Challenge many, many moons ago (circa 2011), when I was brand new to the online writing world. It was a great way to jumpstart my creative juices, and I had so much fun “meeting” men and women sharing what they love to do. 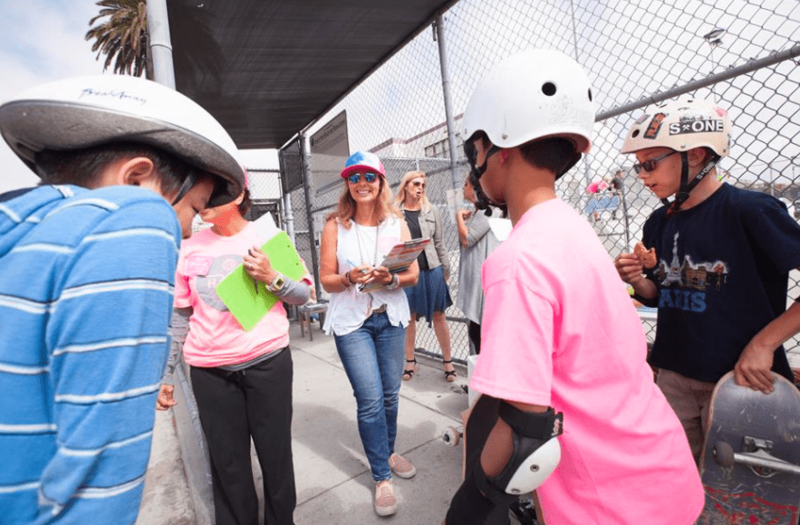 “Sk8 for the Schools in Hermosa Beach: Guest Post” is part of the Daily Dose: Inspired series. Looking for a small something to get you inspired to take on the day? This is the place to come for a photo, a song, a pick-me-up quote, a little slice of happy. At least, these are the things that inspire me!